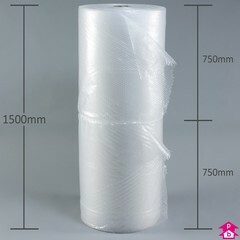 Bubble Wrap 750mm wide on 100 metre long roll. Small 10mm bubbles. Clear bubble wrap with small bubbles of 10mm diameter. Available in batches of 2 x 750mm wide rolls.